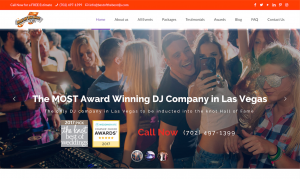 The owner of Best Of The Best DJs, one of the most award winning DJ Companies in Las Vegas specializing in weddings, birthdays, reunions and corporate events asked the All in Web Pro team for help with Las Vegas Web Design services for his new website re-design. He had had several bad experiences working with other web designers and was very hesitant about our design process and the ability to have revisions made before the project is complete. We reassured him that we are a professional web company that works hard to ensure our customers are fully satisfied with our services at the completion of any web design project. 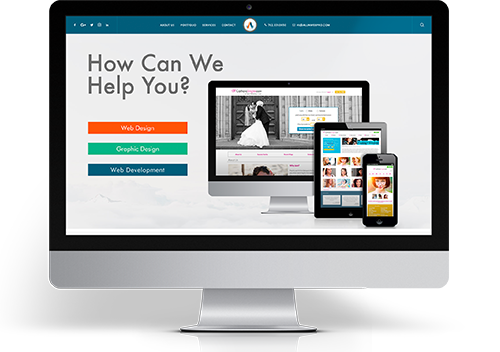 The client needed a website design that would highlight their many awards from The Knot and other wedding and DJ related review websites. It was unique that he had over 100 video testimonials from wedding couples who have worked with him! He already had an existing old website that had a decent amount of text content that we could use and over 100 video testimonials that we could use. We took the content from the original website and reworked it into a new updated look and feel that was fun and visually stimulating. We used WordPress as our foundation and built all of the requested features within a highly responsive and customized WordPress theme that was easy to maintain and expand. We added custom forms and after making a lot of small adjustments to text and images we arrived at the website he has today. The client was very excited and happy to see that even after the first round of development the website pleasantly surprised him and exceeded his expectations for Las Vegas web design services compared to his prior experiences and the very modest price of the services. The client was so happy with the result and the value he received for the price he wrote the following testimonial for us. We have worked with other web designers in the past and were never satisfied with the end result. The lack of creativity and the lack of knowledge in building the site has always been an issue. This time around we hired All In Web Pro and they did a great job. They were professional from start to finish, easy to work with, and knocked the design out of the park on the first draft. Check out our website and see for yourself. Highly recommended. If you're in Las Vegas and are in need of a great DJ that comes with a high level of recommendations and accolades, be sure to check out Best of the Best DJ's for your next event!